It won't take long to recognize that the First Coast has a unique blend of communities ranging from small-town charm to big city hustle-bustle. The biggest challenge may be deciding which community you’ll choose to call home. From trendy condos to historic homes, Nassau County’s Amelia Island and Fernandina Beach offer the warmth and charm of small town living while being just close enough to the action of the city. This barrier island, referred to as “The Isle of Eight Flags” because it has been under the rule of eight different nations throughout history, is part of a growing community that is also a popular year-round tourist rendezvous. Amelia Island’s charm and allure have grown immensely as the past decade experienced a boom in the number of charming bed and breakfast inns. 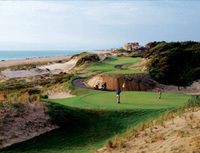 The Ritz Carlton on Amelia Island is also quite a draw, attracting prestigious conventions to the oceanfront hotel. But, the true gem on Amelia Island lies along and around historic Centre Street in the city of Fernandina Beach. Stroll down the brick-covered streets and you can’t help but get a feel of excitement while also feeling a real sense of community. Centre Street is not only home to the Palace Saloon, one of the oldest restaurants in Florida, it also has a balanced mix of commercial businesses and shops that cater to the tourist traffic the island lures. 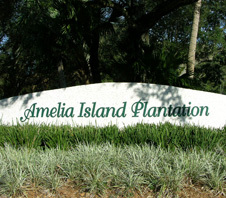 This community is also home to one of the largest developments in Nassau County, Amelia Island Plantation, which offers fantastic oceanfront living. Long the heart of business and government, Downtown Jacksonville is undergoing a number of sweeping changes in both housing options, new nightlife options and government amenities, such as a new main library. Downtown is home to the headquarters of CSX Corp., a Fortune 500 company. There is a strong push to create new housing opportunities in the urban core. Developers have converted former office spaces into luxurious loft apartments and condominium developments unlike those previously available in the River City. Travel North on Main Street and you enter one of Jacksonville’s re-emerging neighborhoods, Springfield. Home to Victorian-era architecture, Springfield is experiencing new home construction balanced with a mix of historic remodeling that is luring in new investment and new families. Travel the St. Johns River southward from downtown Jacksonville and you will pass corporate row, which is home to Fidelity National Financial and the St. Joe Co. But, keep moving and you’ll soon enter a magical community offering tranquility with a dash of modern-day charm. You are now in historic Riverside/Avondale. Known for elegant homes in a multitude of styles, Riverside/Avondale is closely watched by Riverside Avondale Preservation, or RAP, to maintain the historic integrity of this charming community. This community offers a mix of riverfront condos, upscale retirement living and apartments. There are also parks where you’ll see families with kids laughing and playing. The Riverside/Avondale Shopping District is neatly planted in the middle of this community and offers a multitude of quaint eateries. This community becomes a bustling destination during the holidays as RAP members work to line the city streets with Luminaria in celebration of the season. Jacksonville residents from all over can be seen driving by absorbing the somber, beauty and charm of the spectacle. Riverside/Avondale, while home to the largest National Historic District in the Southeastern U.S., is experiencing a re-development. Riverfront condos are going up near St. Vincent’s Medical Center, in an area just east of the Five Points Shopping District. This area is slated for a huge mixed-use development near Memorial Park. Drive south along the St. Johns River in Riverside/Avondale and, as the river curves, you will eventually get to one of the oldest, most charming neighborhoods in Jacksonville — Ortega. Recently named the 46th wealthiest neighborhood in the U.S. by Worth magazine, Ortega is home to the Florida Yacht Club, the oldest yacht club in the state. Like Riverside/Avondale, Ortega boasts quiet, charming tree-lined streets and beautiful homes ranging from quaint to breathtaking. The community’s shopping district is the staging area for Ortega’s annual Fall Festival where you’re sure to see horse-drawn carriages offering rides, lots of families having plain, simple fun. Not far from Ortega is the waterfront area known as Venetia and the home to the Timuquana Country Club. Venetia offers quiet neighborhoods with well-manicured lawns and award-winning public schools. Living in Venetia was once considered to be country living. Peruse Jacksonville history and you will find that the Acosta Bridge is given credit for having opened the south side of the St. Johns River for development. The result was what is now known as the community of San Marco, which gets its name from the Piazza San Marco in Venice, Italy. San Marco is a potpourri of architectural styles and uses. From large, expansive riverfront homes to quadstyle apartments, San Marco seems to have a lifestyle fit for both singles and families. If the square is the center of San Marco, the ornately-made bronze lion sculptures, accompanying fountain and gazebo are the square’s trademark. On either side of the square are a vibrant array of shops and a mix of local fare and franchised cafes and restaurants from which to choose. The San Marco Preservation Society keeps an eye out to ensure this community’s historic properties are being restored to their original intent. 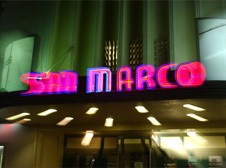 San Marco is also home to Theatre Jacksonville, the oldest continuously running community theatre in the U.S. Travel south of San Marco on Hendricks Avenue and you will come to the area known as San Jose. Within minutes, it becomes obvious you are now surrounded by more than the traditional-styled homes offered in San Marco. San Jose is where magnate Alfred I. DuPont built his expansive 15,000-square-foot summer home, Epping Forest, which has since been converted to a yacht club that is the center of an exclusive residential community. Epping Forest, which includes 58-acres with 3,200 feet on the St. Johns River, is known for its superb fitness facility and walking paths. Still one of the fastest-growing communities in Jacksonville, Mandarin offers something for young and old alike. Whether you’re seeking a starter home or a large riverfront showplace, Mandarin offers it all. This community’s beauty has been chronicled through the ages. In her book, Palmetto Leaves, author Harriet Beecher Stowe tells about her life in Florida and refers to Mandarin as “a tropical paradise.” Stowe, who also wrote the anti-slave classic, Uncle Tom’s Cabin, made Mandarin her home in 1867 when she bought 30 acres and built a large home overlooking the St. Johns River. 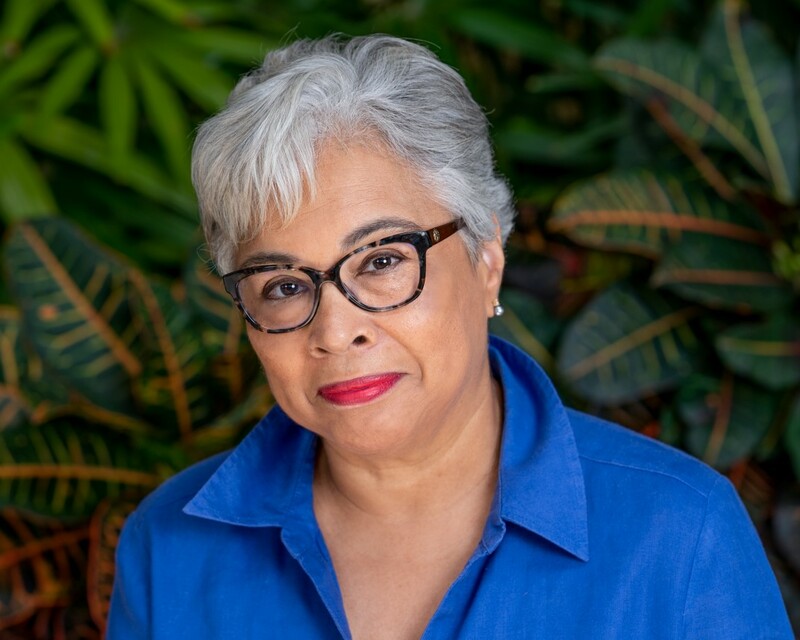 She was later joined by other family members who pitched in to help set up a small citrus grove and also build a small school where she educated former slaves. Each year, around Easter time, Mandarin hosts a popular arts festival at the community arts center. Today, the pulse of Mandarin is the long and winding San Jose Boulevard and St. Augustine Road which both offer everything from retail shops, strip centers and a multitude of restaurants. Travel further into Mandarin and you won’t see Harriet Beecher Stowe’s home, but you will see everything from gated communities to new subdivisions offering many different home choices. The Mandarin Museum & Historical Society has worked hard over the years to restore historic buildings that once served as the community’s center including, a circa 1911 Post Office. The organization also recently re-dedicated Walter Jones Historical Park, which fronts the river and includes restored homes of the Jones family. Famous newspaper editor Horace Greeley may have said, “Go West, young man!” But, if he were in Jacksonville today, he may tip you off that the city’s Northside is the next big boom! Plenty of uncharted land remains on the Northside as do a myriad of landmarks. The Northside is home to the Jacksonville Zoological Gardens, Jacksonville International Airport, Big Talbot and Little Talbot Islands, Huguenot Memorial Park, as well as the Timucuan Ecological and Historical Preserve. This area is filled with pristine marshes, woods and rivers, which are sure to lure developments of all types in the coming years. History and modern tradition come together to make the Arlington area one of Jacksonville’s truly unique communities. Arlington’s roots go back to 1562 when French explorer Jean Ribault landed his boat there and blazed a path for what would later become La Caroline, a French outpost. Years later, the outpost was captured and destroyed by the Spanish under the leadership of Pedro Menendez de Aviles. La Caroline’s remains are known today as the 680-acre Fort Caroline National Monument. Located on the banks of the St. Johns River, Jacksonville University offers world-class postsecondary education on its lush, green Arlington campus. In the Roaring 20s, the Arlington area was home to the Norman Film Studios where producer Richard Norman made silent films starring emerging African-American actors. Old Arlington Inc., an historic preservation group, hopes to memorialize and preserve that piece of unique Jacksonville history. A lot of new development near the Atlantic Intracoastal Waterway in East Arlington is underway. Look for a number of waterfront mixed-use developments that feature retail shops, marinas and condominiums. The Westside has grown in recent years as developers search for expansive alternatives to some of the city’s more crowded regions. Because it still contains a lot of untapped potential, the Westside can still be marketed as a community that offers the tranquility of country living. A lot of diverse investment has crept into the Westside in recent years. The St. Augustine Diocese of the Catholic Church has built and opened Bishop John J. Snyder High to meet its growing needs. The largest Westside development since Argyle Forest in the 1970s, that will take years to build out, is OakLeaf Plantation, which has come to life on 6,400 acres of unspoiled land adjacent to the Jennings State Forest, which has 20,000 acres. Straddling parts of both Clay and Duval counties, OakLeaf has caused officials to plan for new public safety services and new schools to meet future growth in this Development of Regional Impact or DRI. Another factor that is sure to contribute to growth in the Westside is the manufacturing sector at the Cecil Commerce Center, the former Cecil Naval Air Station, which is quickly becoming a hub for aerospace companies. Two of the fastest-growing areas on the First Coast are the Clay County communities of Orange Park and Fleming Island. Both offer a wide range of home styles to meet your needs. Whether you are searching for a golf course community or a gated community, this suburban enclave offers a laid-back lifestyle with a touch of city living. Bustling Fleming Island, south of Orange Park on U.S. Highway 17, is quickly becoming known for its wide array of restaurants and shopping choices. Once known for its tranquil stands of timber, Fleming Island has a rich history that was chronicled in the 1980 Eugenia Price novel Margaret’s Story. The inland island gets its name from the family of George Fleming who, in 1785, became a large landowner after receiving a number of land grants from the Spanish government. On Fleming Island, you’ll find such planned communities as Eagle Harbor and Fleming Island Plantation and the gated communities of Pace Island and Margaret’s Walk, which offer great amenities and family atmosphere. Millions of dollars in both public and private investments have flowed through the beaches communities in recent years as a wave of oceanfront re-development has taken place. But, you have to look closely to see which beaches community has benefited the most because the three cities of Atlantic Beach, Neptune Beach and Jacksonville Beach all seem to weave together along Third Street, which is also A1A. A number of hotels have been demolished altogether as developers make way for new, rather tall, trendy upscale condominium developments. The last decade has seen Atlantic Beach establish a “Town Center” at the foot of Atlantic Boulevard and Third Street. It’s an entertainment and restaurant complex that attracts people of all ages. 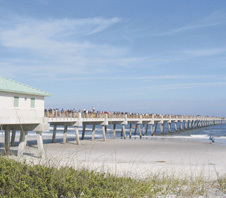 City fathers in Jacksonville Beach, along with the City of Jacksonville government, have teamed up to fund a new pier expanding into the Atlantic Ocean. The upgraded SeaWalk Pavilion offers a spectacular oceanfront venue for festivals, concerts and outdoor movies. The area around the Pavilion has been upgraded and improved tremendously offering shops, restaurants, as well as charming office space and city offices. The beaches communities offer a large number of festivals during the summer months beginning with the Annual Opening of the Beaches. Other festivals include Fiesta Playera, a celebration of latino culture filled with great food and soulful music, and the popular Springing the Blues festival. Once considered a sleepy fishing village that gave birth to the world class Jacksonville Jazz Festival, Mayport is on the brink of a renaissance. Look for plans to come to life to create a thriving “Town Center” where retail and new home construction will peacefully co-exist to bring new families to the area. If you travel south on A1A into St. Johns County, you will enter the upscale community of Ponte Vedra Beach. Once part of a pristine wilderness where people went to retire, this community offers a balance of residential choices, depending on your lifestyle and budget. Select from a range of condominium choices, diverse-style homes or custom waterfront properties. There are homes ranging from the starter variety up to 12,000-square-foot oceanfront palaces with wrought-iron gates surrounded by sand dunes, majestic oaks and other native vegetation. Ponte Vedra Beach is also home to the marshes and streams of the state-protected, sensitive Guana River State Park, a popular preserve offering many relaxing water activities. Today, Ponte Vedra Beach is on the verge of new heights as St. Johns County Public Schools has built a new high school to meet the demands of growth. This community is home to the headquarters of two world-class sporting organizations, the PGA Tour and the ATP, the governing body for the men’s international tennis circuit. 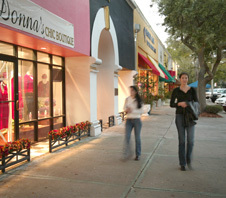 Ponte Vedra Beach also has its share of topnotch restaurants, shopping and commercial office space. 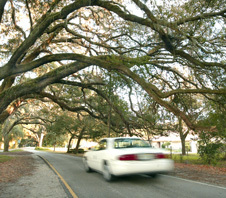 Northern St. Johns County is probably the fastest-growing area on the First Coast. Such spectacular communities as Julington Creek Plantation and World Golf Village as well as County Road 210 and Switzerland offer lifestyle choices as gated communities, golf communities, condominiums and apartment homes. Like many other First Coast communities, golf plays an integral role in this region. Choose from courses designed by Jacksonville native Mark McCumber to golf legends Arnold Palmer and Jack Nicklaus. The vast amount of development on St. Johns County Road 210, offers the peacefulness of country charm that’s within a shot of the city hustle-bustle. And, further south of County Road 210 is the prestigious World Golf Village, which is home to the World Golf Hall of Fame, shops, restaurants and an IMAX theater. The area, which also has a new interchange at I-95 South, has seen a number of new hotels crop up. Located in northern St. Johns County, this development of regional impact (or DRI) is the equivalent of an entirely new city from concept to fruition. Estimated to take 20 years to complete, Nocatee will feature a number of housing choices including an 'active adult', condominium, and single family homes as well as retail shopping, parks, office space, houses of worship and schools.